There were many interesting games last round. The round ended with derby games and favorites losing the games. Here is the last round review presented by ESL. The game had a very big importance for second-ranked Verdes as it allowed them to take a leadership position. Verdes defeated 3rd ranked Hurricanes at home 76-64. 25 personal fouls committed by Hurricanes helped opponents get some easy free throw opportunities. The best player for the winners was the former international center Elsworth Itza (-83) who scored 22 points (on 9-of-10 shooting from the field). 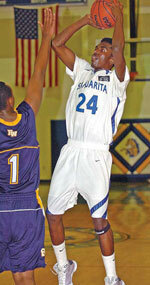 American point guard Kris Frazier (201, college: Peru St.) chipped in 12 points and 7 rebounds. International guard Devin Daly (195-94, college: L.Superior) produced 20 points and 5 rebounds for the guests. Hurricanes' coach rotated eleven players in this game, but that didn't help. Verdes (7-1) have an impressive six-game winning streak. As mentioned above they are alone now at the top position. Defending champion Hurricanes keep the third place with four games lost. They share the position with Belize City D. and San Pedro T.. Hurricanes will play next round against Red Bandits trying to get back on the winning streak. Verdes will try to continue on its current victory against fifth ranked Tigersharks in San Pedro. Top ranked Dream Ballers (6-2) recorded its second loss in Dangriga. Hosts were edged by sixth ranked Red Bandits (2-6) 79-78. It ended at the same time the six-game winning streak of Dream Ballers. American center Jevonte Hughes (196-93, college: Charleston) saved the victory with a double-double by scoring 30 points and 11 rebounds. Daniel Nolberto contributed with 13 points, 7 rebounds and 4 assists for the winners. International guard Edgar Mitchell (-93) replied with a double-double by scoring 15 points, 12 rebounds and 9 assists for Dream Ballers. Dream Ballers' coach tried various players' combinations and tested in total eleven players, but that didn't help to avoid defeat in this game. Red Bandits maintains sixth position with 2-6 record. Dream Ballers at the other side dropped to the second place with two games lost. Red Bandits will play against higher ranked Hurricanes (#3) in Belize City in the next round and it may be quite challenging game. Dream Ballers will have a break next round. A very close game took place in Belize City between Defenders and Running Rebels. Fourth ranked Defenders (4-4) got a very close victory on the road over 7th ranked Running Rebels (1-7). Defenders managed to escape with a 2-point win 93-91 on Thursday evening. 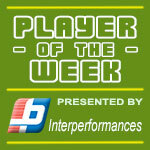 Worth to mention a great performance of Nigel Jones who helped to win the game recording 36 points (!!!) and 9 rebounds. Julien Travis responded with a double-double by scoring 18 points and 13 rebounds. Both coaches used bench players in such tough game. Defenders moved-up to third place, which they share with San Pedro T. and Smart Belize H. Running Rebels lost third consecutive game. They stay at the bottom position with seven games lost. Defenders will meet at home Tigersharks (#5) in the next round. Running Rebels will have a break next round. Very important is a home loss of third ranked Hurricanes (4-4) against fifth ranked Tigersharks (4-4) on Friday night. Host Hurricanes were defeated by Tigersharks in a tough game in Belize City 75-80. The winners were led by Jihad Wright who scored that evening 32 points and 8 rebounds (on 13-of-17 shooting from the field). Both coaches tested many bench players in such tough game. Tigersharks moved-up to third place, which they share with Belize City D. and Smart Belize H. Tigersharks' next round opponent will be league's leader Verdes and it will be for sure the game of the week. Hurricanes will play against Red Bandits in Belmopan and hope to win that game. The game in Belmopan supposed to be also quite interesting. Second ranked Verdes (7-1) played at the court of 6th ranked Red Bandits (2-6). Verdes did not have too big problems and got a relatively easy victory 96-76 on Thursday. The best player for the winners was Richard Troyer who scored 24 points and 7 rebounds. Both coaches allowed to play bench players saving starting five for next games. Verdes have an impressive six-game winning streak. They keep a position of league leader. Red Bandits lost sixth consecutive game. They keep the sixth place with six games lost. Verdes will face Tigersharks (#5) in San Pedro in the next round. Red Bandits will play at home against Hurricanes and hope to win that game. Very important is a home loss of third ranked Hurricanes (4-4) against fifth ranked Tigersharks (4-4) on Friday night. Host Hurricanes were defeated by Tigersharks in a tough game in Belize City 75-80. The winners were led by international forward Jihad Wright (193-93, college: UNC Pembroke) who scored that evening 32 points and 8 rebounds (on 13-of-17 shooting from the field) and center Martevuius Adams supported him with 16 points and 7 rebounds. Even 16 points, 6 rebounds, 4 assists and 4 steals by international guard Glency Lopez (-97) did not help to save the game for Hurricanes. American forward Shannon Fowler (203-93, college: W.Georgia) added 13 points and 10 rebounds for the hosts. Both coaches tested many bench players in such tough game. Tigersharks moved-up to third place, which they share with Belize City D. and Smart Belize H. Tigersharks' next round opponent will be league's leader Verdes and it will be for sure the game of the week. Hurricanes will play against Red Bandits in Belmopan and hope to win that game. The game had a very big importance for second-ranked Verdes as it allowed them to take a leadership position. Verdes defeated 3rd ranked Hurricanes at home 76-64. 25 personal fouls committed by Hurricanes helped opponents get some easy free throw opportunities. The best player for the winners was the former international center Elsworth Itza (-83) who scored 22 points (on 9-of-10 shooting from the field). American point guard Kris Frazier (201, college: Peru St.) chipped in 12 points and 7 rebounds. Four Verdes players scored in double figures. International guard Devin Daly (195-94, college: L.Superior) produced 20 points and 5 rebounds and guard Eyan Rene (186) added 11 points respectively for the guests. Hurricanes' coach rotated eleven players in this game, but that didn't help. Verdes (7-1) have an impressive six-game winning streak. As mentioned above they are alone now at the top position. Defending champion Hurricanes keep the third place with four games lost. They share the position with Belize City D. and San Pedro T.. Hurricanes will play next round against Red Bandits trying to get back on the winning streak. Verdes will try to continue on its current victory against fifth ranked Tigersharks in San Pedro. The game in Belmopan supposed to be also quite interesting. Second ranked Verdes (7-1) played at the court of 6th ranked Red Bandits (2-6). Verdes did not have too big problems and got a relatively easy victory 96-76 on Thursday. Verdes dominated down low during the game scoring 60 of its points in the paint compared to Red Bandits' 36. Verdes forced 28 Red Bandits turnovers and outrebounded them 44-31 including 31 on the defensive glass. Great defensive blocking was one of the keys in this match when Verdes made 7 blocks. The best player for the winners was the former international forward Richard Troyer (196-84, college: Utah Valley) who scored 24 points and 7 rebounds. 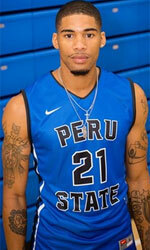 American point guard Kris Frazier (201, college: Peru St.) chipped in 21 points and 9 rebounds. American center Jevonte Hughes (196-93, college: Charleston) produced 21 points and 8 rebounds and guard Daniel Nolberto added 16 points and 6 assists respectively for the hosts. Four Red Bandits players scored in double figures. Both coaches allowed to play bench players saving starting five for next games. Verdes have an impressive six-game winning streak. They keep a position of league leader. Red Bandits lost sixth consecutive game. They keep the sixth place with six games lost. Verdes will face Tigersharks (#5) in San Pedro in the next round. Red Bandits will play at home against Hurricanes and hope to win that game. Top ranked Dream Ballers (6-2) recorded its second loss in Dangriga. Hosts were edged by sixth ranked Red Bandits (2-6) 79-78. It ended at the same time the six-game winning streak of Dream Ballers. American center Jevonte Hughes (196-93, college: Charleston) saved the victory with a double-double by scoring 30 points and 11 rebounds. Guard Daniel Nolberto contributed with 13 points, 7 rebounds and 4 assists for the winners. International guard Edgar Mitchell (-93) replied with a double-double by scoring 15 points, 12 rebounds and 9 assists and Delvon Henderson added 23 points, 11 rebounds and 4 blocks in the effort for Dream Ballers. Dream Ballers' coach tried various players' combinations and tested in total eleven players, but that didn't help to avoid defeat in this game. Red Bandits maintains sixth position with 2-6 record. Dream Ballers at the other side dropped to the second place with two games lost. Red Bandits will play against higher ranked Hurricanes (#3) in Belize City in the next round and it may be quite challenging game. Dream Ballers will have a break next round. A very close game took place in Belize City between Defenders and Running Rebels. Fourth ranked Defenders (4-4) got a very close victory on the road over 7th ranked Running Rebels (1-7). Defenders managed to escape with a 2-point win 93-91 on Thursday evening. Defenders dominated down low during the game scoring 72 of its points in the paint compared to Running Rebels' 52. Worth to mention a great performance of American center Nigel Jones (201-90, college: Talladega) who helped to win the game recording 36 points (!!!) and 9 rebounds and the other American import point guard Mykeil Tzul (183, college: Doane) who added 21 points during the contest. Jones is a former Eurobasket Summer League player, which is considered top international summer league in the market. Julien Travis responded with a double-double by scoring 18 points and 13 rebounds and American point guard Isaiah Thomas (188-93) scored 20 points, 7 rebounds and 4 assists (was perfect 10-for-10 from the free throw line !!!). Four Running Rebels players scored in double figures. Both coaches used bench players in such tough game. Defenders moved-up to third place, which they share with San Pedro T. and Smart Belize H. Running Rebels lost third consecutive game. They stay at the bottom position with seven games lost. Defenders will meet at home Tigersharks (#5) in the next round. Running Rebels will have a break next round.